Three South Australian-based women will be among the country’s best footballers showcased on national TV later this season. The Western Bulldogs will host Melbourne under lights at Whitten Oval in the 10th and final AFL women's series exhibition game of the year, on Saturday, September 3, from 7.20pm. The best women from every state will represent the two teams in prime time as part of the AFL's Celebration of Football week in between round 23 and the first week of the final series. 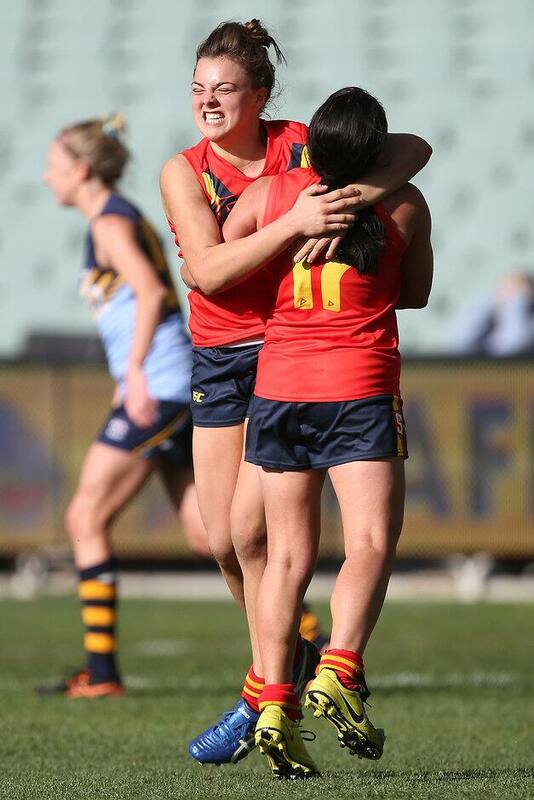 Scouts for the eight women's clubs in next season's inaugural national women's league will be eager to check out Australia's elite talent prior to state-based drafts later this year ahead of the first year of the AFL's women's league competition. SA captain Courtney Cramey, Ebony Marinoff and former WA player Kellie Gibson, who all represent Morphetville Park, are in the Melbourne squad for this game. The Northern Territory’s Angela Foley and Tayla Thorns are also in the squad. AFL game and market development general manager Simon Lethlean said the All-Star format would be a feature of the Celebration of Football concept. "This stand-alone women's match will showcase the best players on the eve of the inaugural national women's competition," Lethlean said. The match will be broadcast live nationally on the Seven Network and Telstra via the AFL Live App and PLUS7 applications including Telstra TV, Apple TV, mobile and web. A youth girls' match will be played as a curtain raiser, while fans can enjoy a kick on the ground after the main game.